Two Martians discuss a political scandal — and climate change. 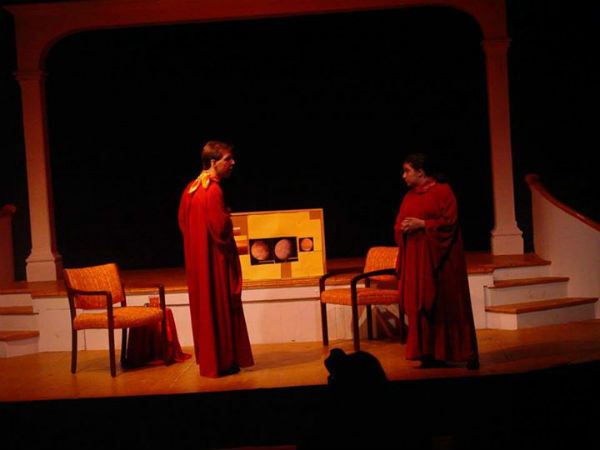 Here is a photo from a production of my 10-minute script THE FACE ON MARS, which was staged August 16 in Suffield, Connecticut by the Suffield Players. It was part of a festival of short plays. 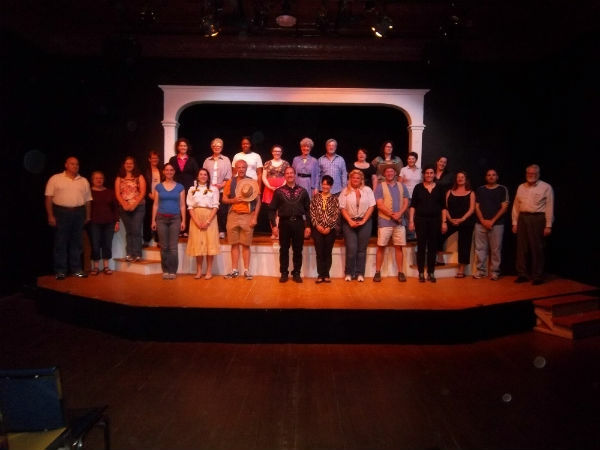 Below is the photo of the entire cast for the evening. The supposed face on Mars? It was commissioned by a politician who knew the truth — that Mars was running out of water. But he told the public something else entirely. Cast: Two, non-gender. * November 7, 8, 14, 15, 22, and 23: A MARTIAN WESTERN and DEMOTING PLUTO, one-acts, Short Science Play Showcase at the Explora Science Center and Children’s Museum, Albuquerque, New Mexico.